This is not the first time, that the same album from different labels loses several tracks. I always try to find the most complete edition, but I can’t find "La-La Land Records" yet. Amazon and iTunes sell their digital version with the same 33 tracks. Don't know why. The soundtrack was never compiled until the "Superman: The Music" set in 2008, and never released separately until the La-La-Land 2xCD set last year, so it seems strange to sell it without the Paul Fishman tracks. Maybe it's a copyright issue. In any case…I don't think you're missing anything very important. Notice that this is not "La-La Land Records - LLLCD 1456". Check yourself on 7digital. The missing tracks are eight tracks by Paul Fishman. 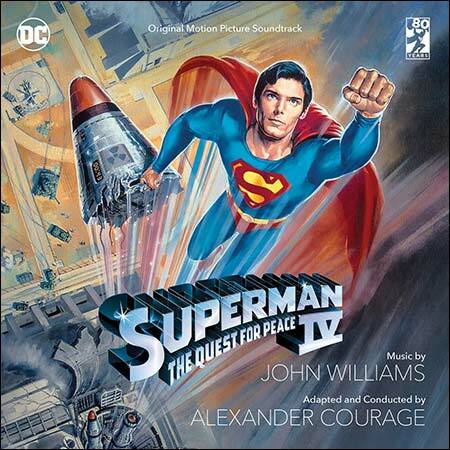 This 2-CD set is exactly the same as discs 5 and 6 from the 8-disc Superman: The Music set, just repackaged. Про "LLLCD 1456" знаю, но пока не располагаю альбомом. Когда заполучу, то опубликую или заменю это издание (если контент будет идентичным).